As part of the Department of Education and Public Engagement’s ongoing programs engaging art and social justice, the New Museum hosts its third Youth Summit, a day of workshops and celebration organized by artists, activists, and collectives committed to community building, including Asian American Feminist Collective, Scope of Work (SOW), Unapologetically Brown Series, and the New Museum Youth Council. Each summit builds upon and reinterprets the principles of healing, self-love, skill building, political education, and empowerment established by the inaugural committee. This year’s program emphasizes alternative forms of resistance that persist in spite of their commercialized, mainstream incarnations. The committee envisions an event that prioritizes those with intersecting marginalized identities, ensuring their concerns and their power remain central to the program. The Summit defines youth broadly, focusing on how young people change the social and political landscape by creating possibilities for self and community within it. Multiple generations are welcome to participate and share knowledge. Presenters include A1BAZAAR, Emilia Ortiz, the Free Black Women’s Library, Kei Williams, Movement Netlab, Veggie Mijas, Fariha Róisín, Women of Color in Solidarity, #FreeToo Yoga, and more. This year’s Summit concludes with an after-party featuring rising Baltimore hip-hop artist Lor Choc in the New Museum Theater and Brooklyn-based collective DisCakes in the Sky Room. Capacity for this event is limited. Tickets will be provided on a first-come, first-served basis. Doors open at 1:30 pm. Please leave all backpacks and large bags at home! If you need to bring one along, it must be checked on arrival. The Asian American Feminist Collective engages intersectional feminist politics grounded within communities of those with East, Southeast, and South Asian; Pacific Islander; and multiethnic and diasporic Asian identities. The collective seeks to foster dialogue that explores the intersections of Asian/American identity with issues of social justice in order to build toward collective liberation. They continue to interrogate and define the Asian-American feminist movement through media, event curation, and digital storytelling. Scope of Work (SOW) is a talent development agency for underrepresented young people aged seventeen to twenty-four. SOW aims to establish equity in the creative industry, bridging the gap between the creative sector and an untapped pool of creatives of color. Founded in 2016 by Geneva White and Eda Levenson, two career artists and educators of color with over a decade of experience in youth development and arts education. SOW’s vision is to build a more inclusive creative ecosystem. The Unapologetically Brown Series is a multimedia street-based visual series highlighting communities of color, created by Salvadoran-born artist Johanna Toruño. The Unapologetically Brown Series focuses on the importance of storytelling through accessible public art and of acknowledging queer folks in the arts. 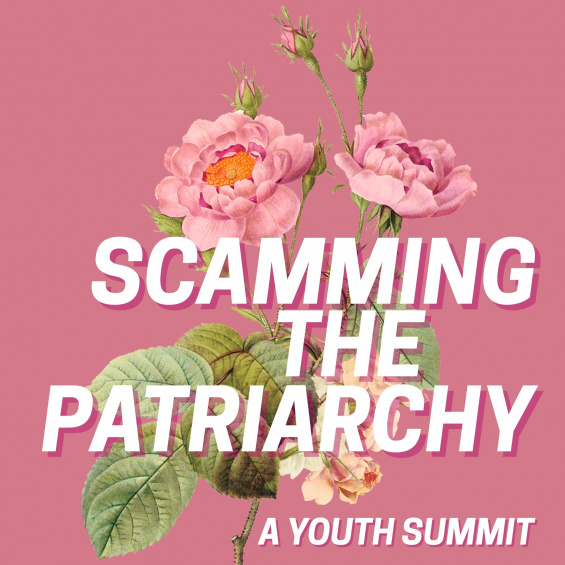 In 2017, Scamming the Patriarchy: A Youth Summit was organized by GHE20G0TH1K, Mask, The Sylvia Rivera Law Project (SRLP), and Thank God For Abortion. In 2016, Scamming the Patriarchy: A Youth Summit was organized by BUFU, Brujas, Discwoman, and members of House of Ladosha. The New Museum is wheelchair accessible; learn more about access services and amenities here. To request accommodations, please email access@newmuseum.org or call 212.219.1222 ×235 at least three weeks in advance. Support for this program is provided, in part, by public funds from the New York State Council on the Arts with the support of Governor Andrew M. Cuomo and the New York State Legislature, and from the New York City Department of Cultural Affairs in partnership with the City Council.